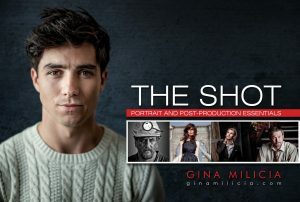 In this mini-sode, you’ll experience a live tutorial as Gina guides Valerie through workshopping and finally getting the shot she wants to achieve. 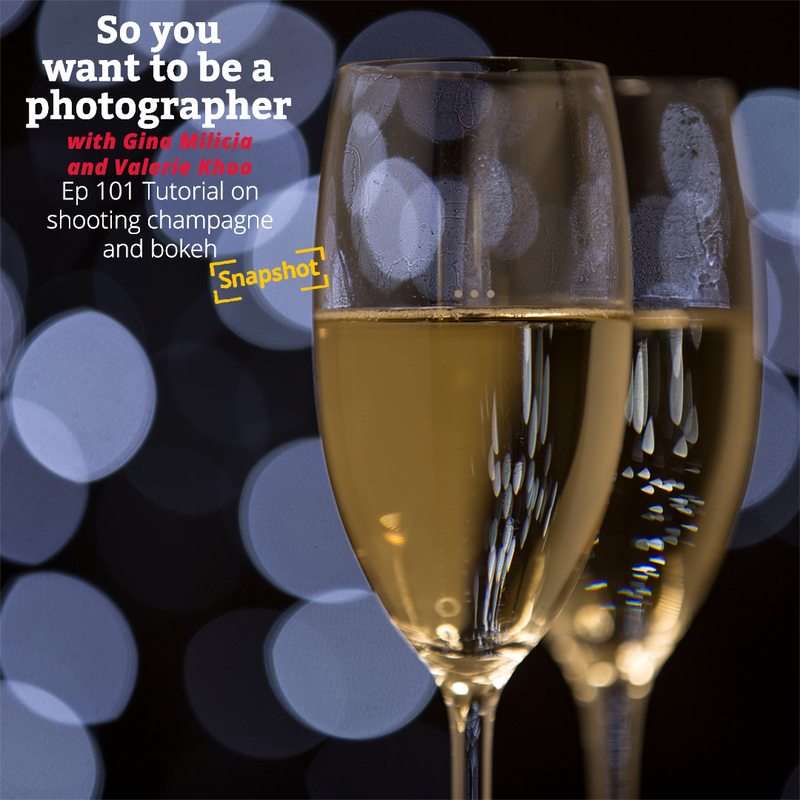 You’ll discover how to make fake champagne, how to get the bubbles to fizz on cue, different lighting scenarios when you have limited options and how to achieve bubbles and bokeh all in one shot. A black board or deflector or shoot at night! We used continuous lighting for this shot. 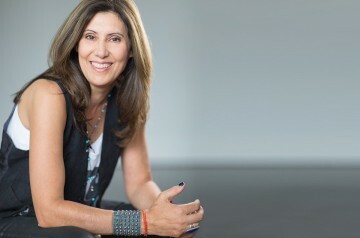 If you don’t own continuous lights try using a small lamp or LED light. 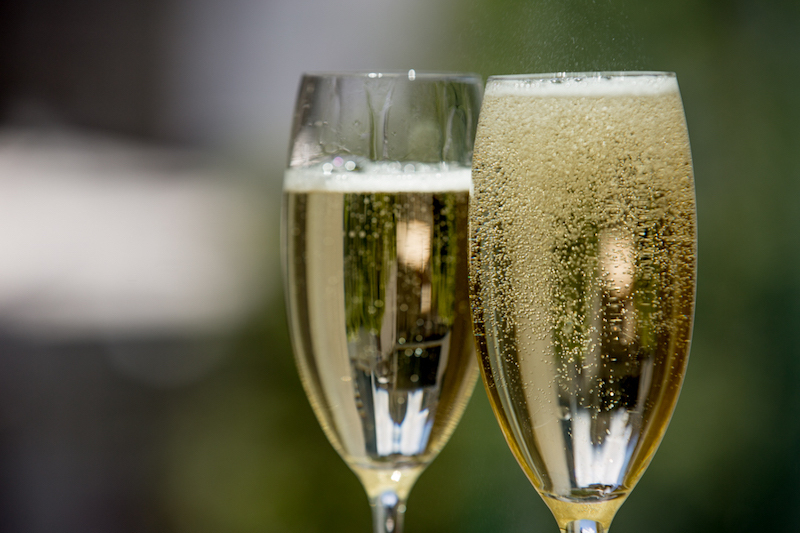 Final image above: top up glasses with soda just before you shoot to create bubbles. 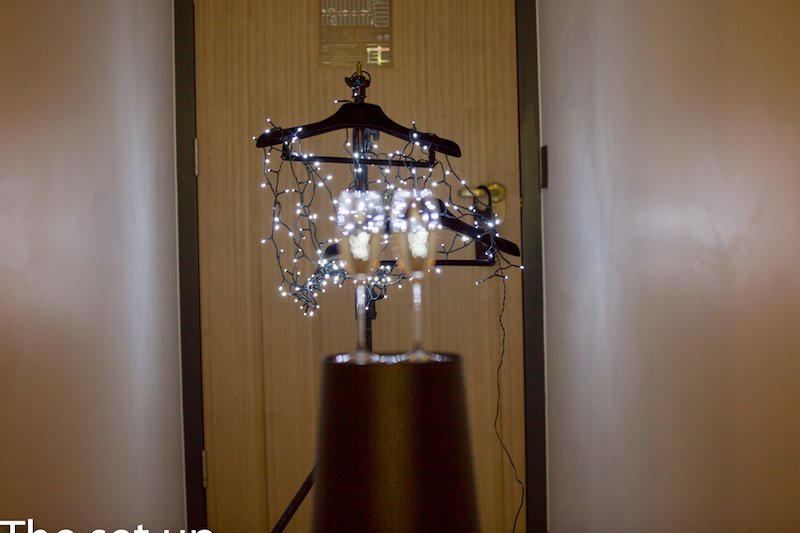 Above: We found a dark corridor to shoot this image in and used a light stand and hangers to position the fairy lights behind the glasses. 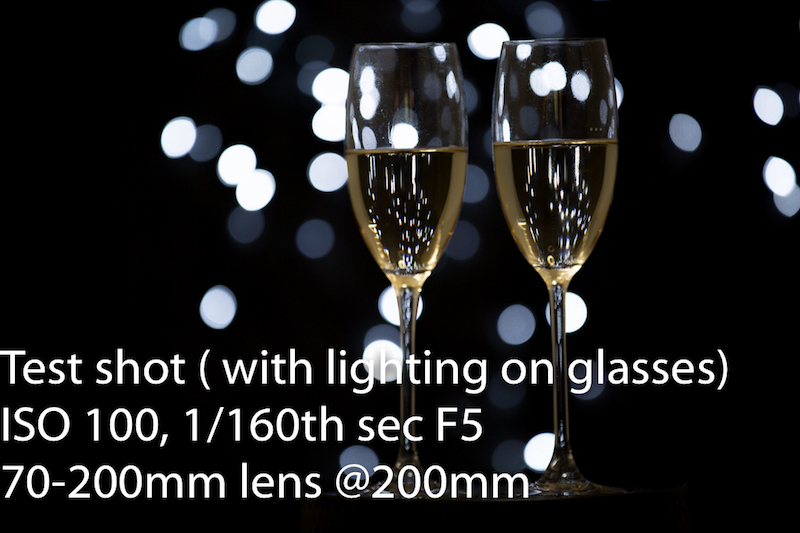 What are the 5 factors that influence the quality of bokeh? Aperture – Select manual mode or Aperture priority. 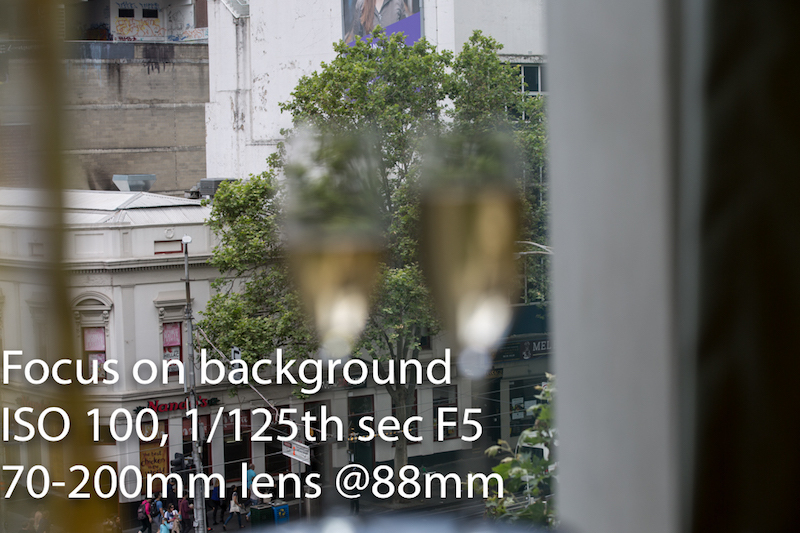 The wider the better f2.8 and wider gives the best bokeh. 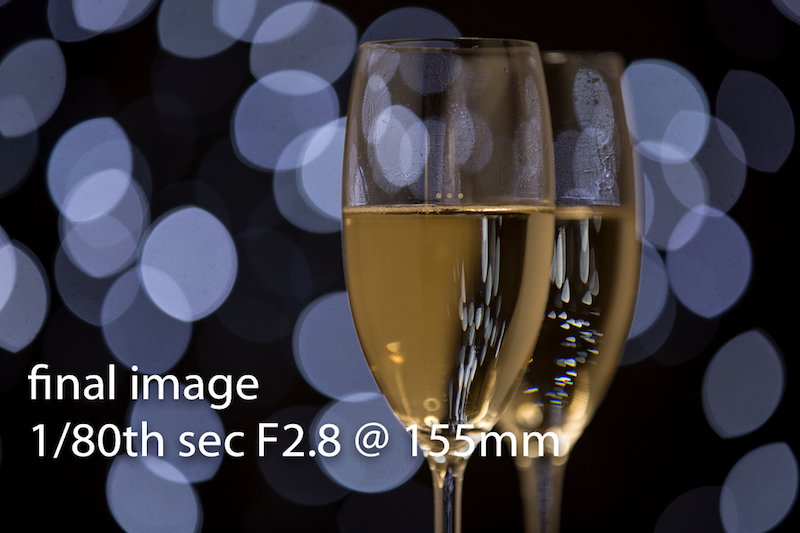 Focal Length – Longer prime and zoom lens gives you better looking bokeh. 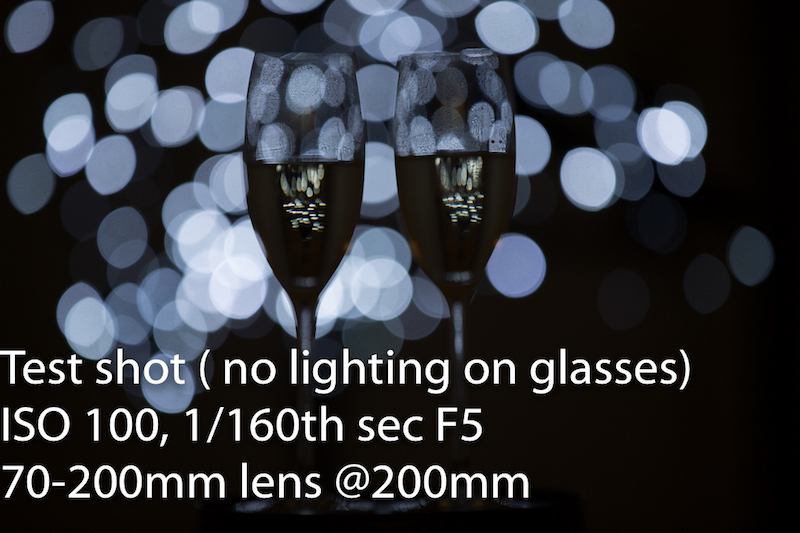 What lenses create the best bokeh and why? 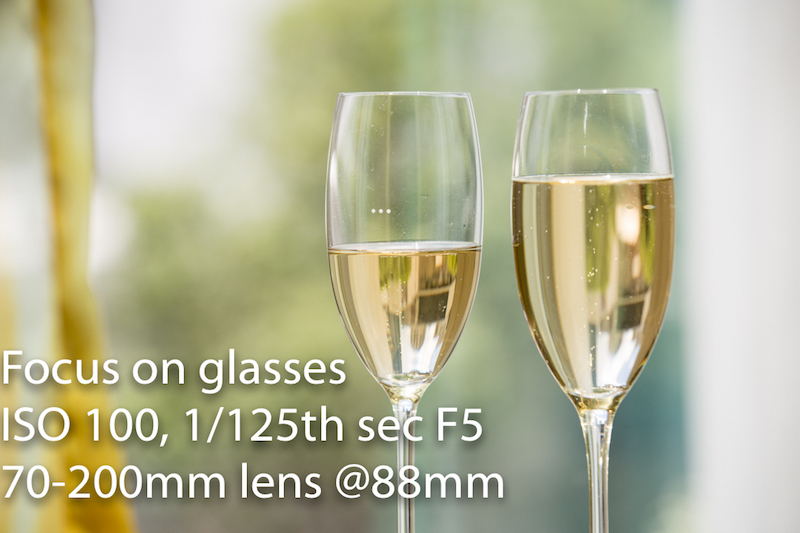 A lens with aperture having more (7 or 9) and rounded blades will give better Bokeh than one with fewer or straight blades. For Nikon system, the Nikon 50 mm 1.8 g and 1.4 g have 7 and 9 rounded aperture blades respectively. 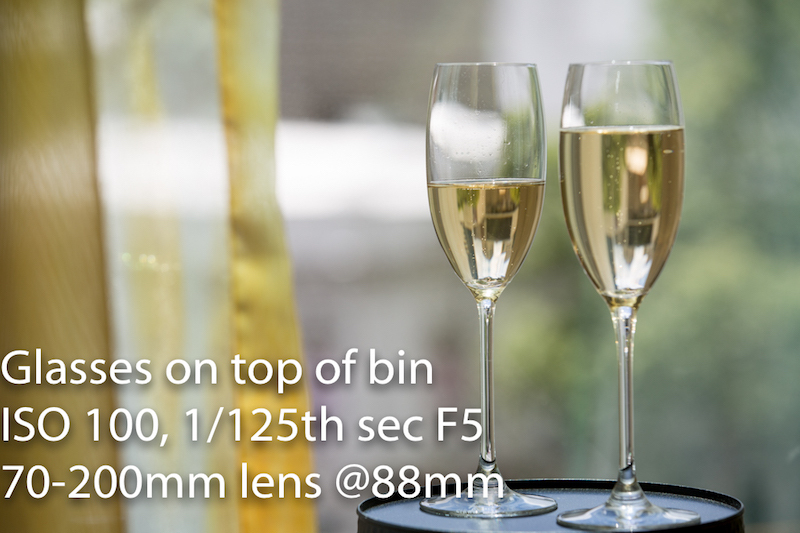 So these lenses give great bokeh.